Most dentists recommend that you have your teeth professionally cleaned at least twice a year. This schedule is really important for many reasons, the foremost being your overall health; however, if it’s been a while since you’ve had your teeth cleaned, don’t stress—we can get you back in tip top shape! Here’s what you can expect at your next teeth cleaning with Schultz Family Dental. This is one of the most important parts of your check-up, as plaque and tarter need to be removed before they can cause damage to your teeth. Plaque (a film of bacteria that remains on the teeth from things like eating or drinking) and tartar (hardened plaque) can be responsible for things like decay and gum disease if left untreated. This is always done gently and efficiently, to make sure your teeth are healthy and the procedure is pain-free! During your appointment, Dr. Schultz will thoroughly examine your teeth and surrounding tissues to ensure that there are no problem areas that might be cause for concern. Things like oral cancer need to be detected and diagnosed, because problems in your mouth can be harmful to your overall health! Some issues found during an exam can be indicative of other parts of your body not functioning properly—like is sometimes the case with diabetes. X-rays or a complete periodontal charting will be completed as well, based on the individual appointment, to examine the teeth and gums for problems, and to further determine if your mouth is healthy—in every way! Schultz Family Dental takes the necessary steps to make sure your teeth stay healthy in the long term, including fluoride treatments. Fluoride ensures that your enamel, which is the mineralized surface of the tooth that protects the inner structures, is hard and strong in order to prevent tooth decay. 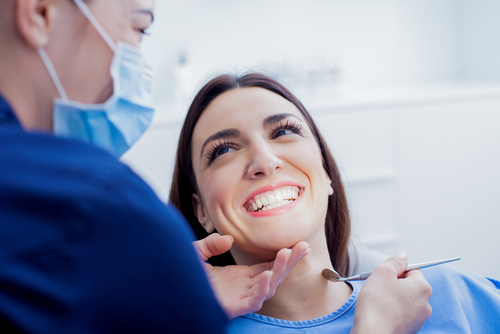 Our goal is to always ensure you’re comfortable with and educated about your dental health. If you have questions and would like to schedule a teeth cleaning appointment, contact our office today!